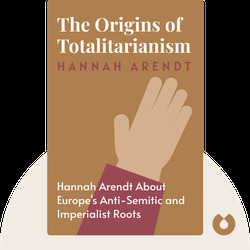 The Origins of Totalitarianism (1951) is a landmark work by Hannah Arendt, in which she traces the anti-Semitic and imperialist roots of modern-day totalitarianism in Europe. 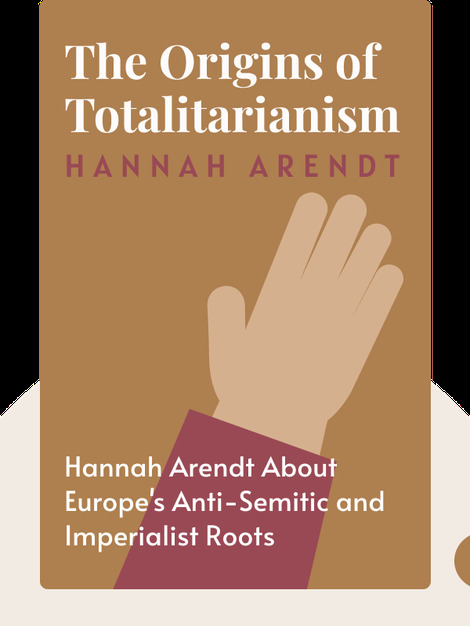 Starting with the rise of the nation-state in the seventeenth century, Arendt reveals the prejudices and myths that empowered the Nazism and Stalinism of the early twentieth century, and that can lead to the erosion of free-thinking democracy. She also gives clear warning on how to avoid predatory totalitarian movements in the future. Hannah Arendt was a German-born scholar, philosopher and prolific writer. As a Jewish refugee from the Nazi regime, she was able to escape a forced march between internment camps in France and find passage to America, where she became the first woman to hold the rank of full professor at Princeton University. Her other books include The Human Condition (1958) and Eichmann in Jerusalem: A Report on the Banality of Evil (1963).